Return to Part One, "Fort San Juan del Bayou"
in 1881 and destroyed by fire in 1906.
the country. 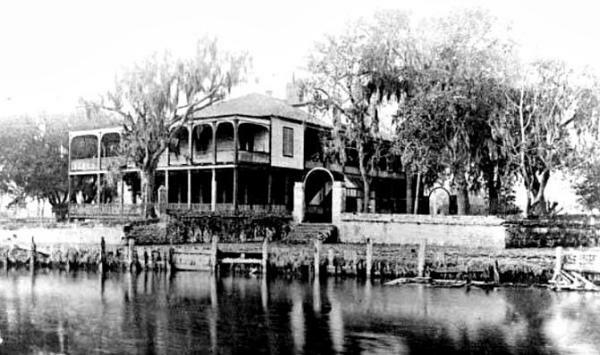 Before long, Spanish Fort became known as the "Coney Island of the South." were Tokyo Gardens and The Frolics. Man poses with a canon from the fort, 1890's. 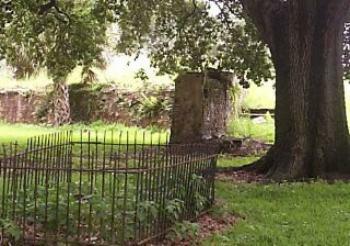 The lonely grave at Old Spanish Fort. 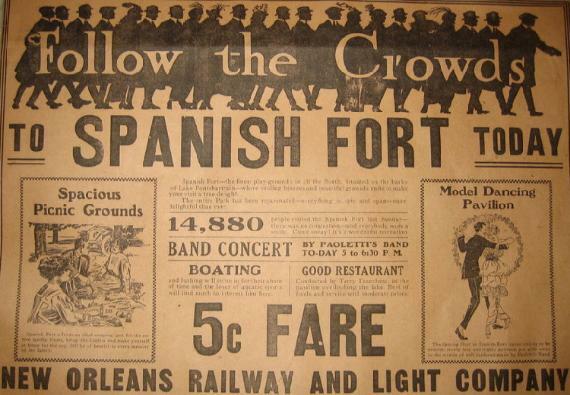 Ad for Spanish Fort thanks to Infrogmation at Wikimedia Commonns. lake. It was during that time that the park closed its gates. witness to yet another hundred years. can be heard are the bayou's breezes dancing through the branches of the ancient oaks.